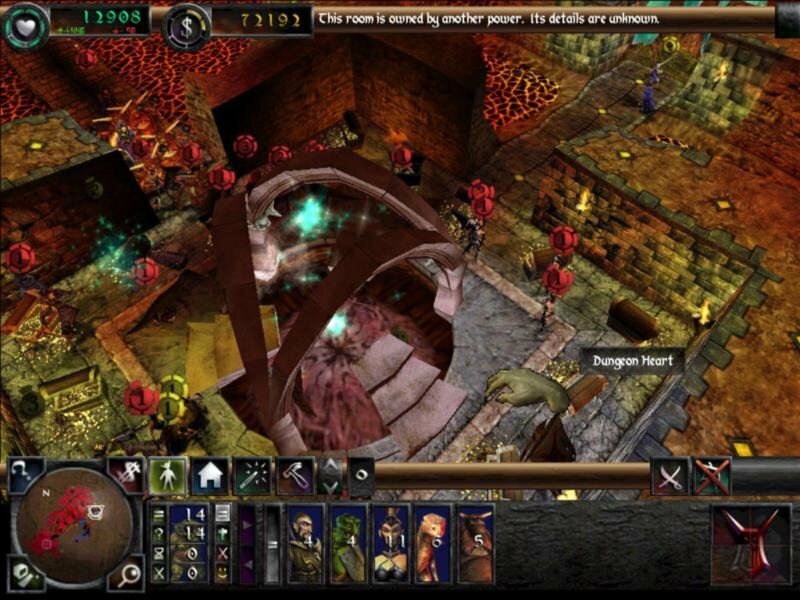 The premise of running an evil dungeon empire in the original Dungeon Keeper, attracting trolls and goblins, and destroying invading heroes, was a cool new idea. There was never anything wrong with the game’s concept or personality; it was the implementation that was somewhat flawed. 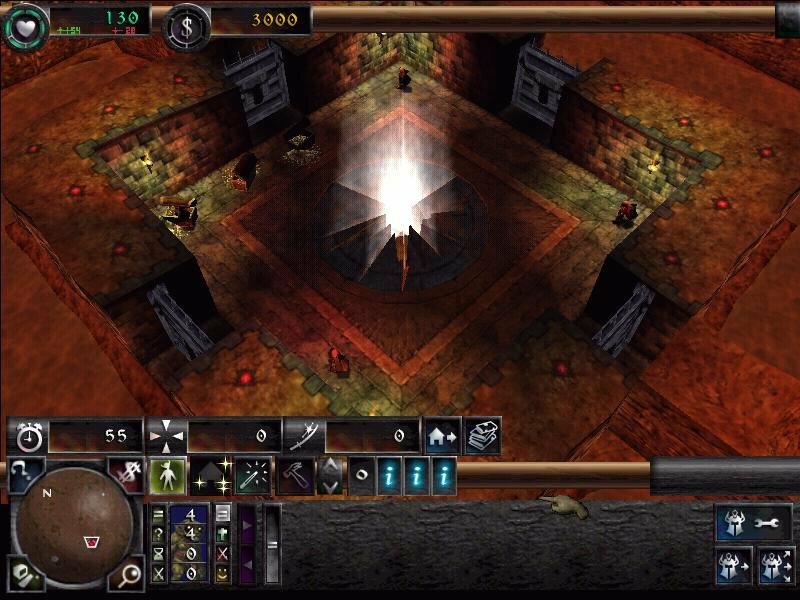 The answer to this was Dungeon Keeper 2, an updated and much more streamlined game that fixes the problems from the first. The game is a curious mix of strategy and construction. It has most in common with building games like SimCity or RollerCoaster Tycoon. The key to success is to define dungeon rooms that will attract the right types of creatures, and try to keep them happy and healthy until they’re needed. 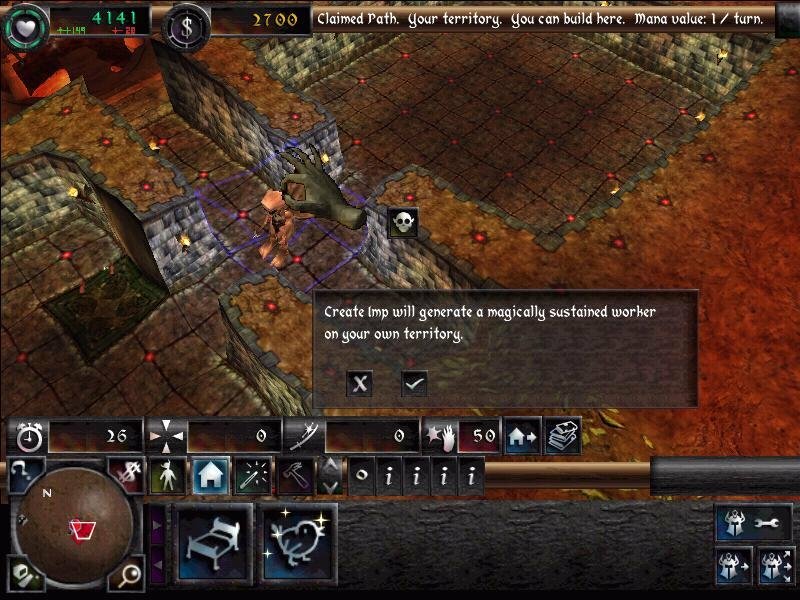 Real-time strategy games, on the other hand, typically have creatures that are dependent on particular buildings, but only come forth when you instruct them to be built. You then have direct control over them, telling them where to go and what to attack. Gameplay is rather simple in concept. 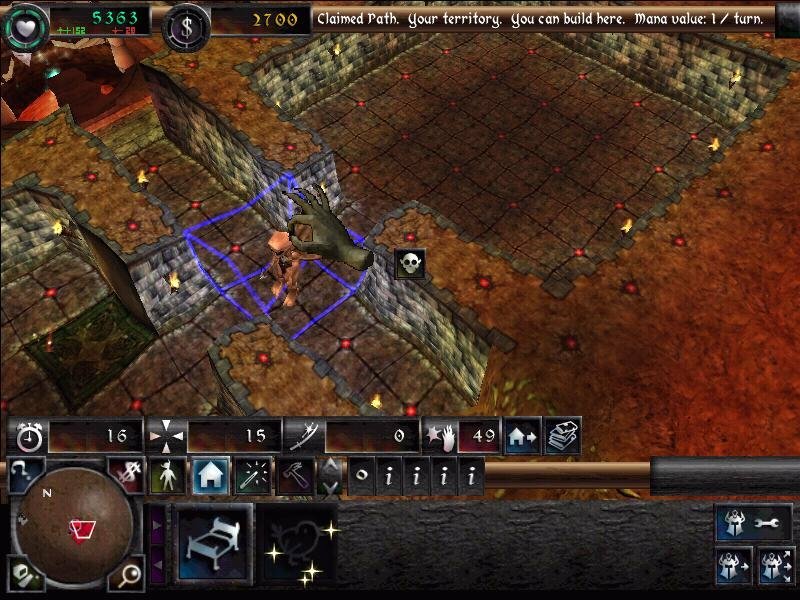 You’re the lord and master of a dungeon, complete with treasure, traps, and lots of nefarious creatures. You look down on your masterpiece from above, directing the progress of its evolution with the Hand of Evil. Though you can pick up and drop creatures, or slap them to make them work harder, you don’t much control them. 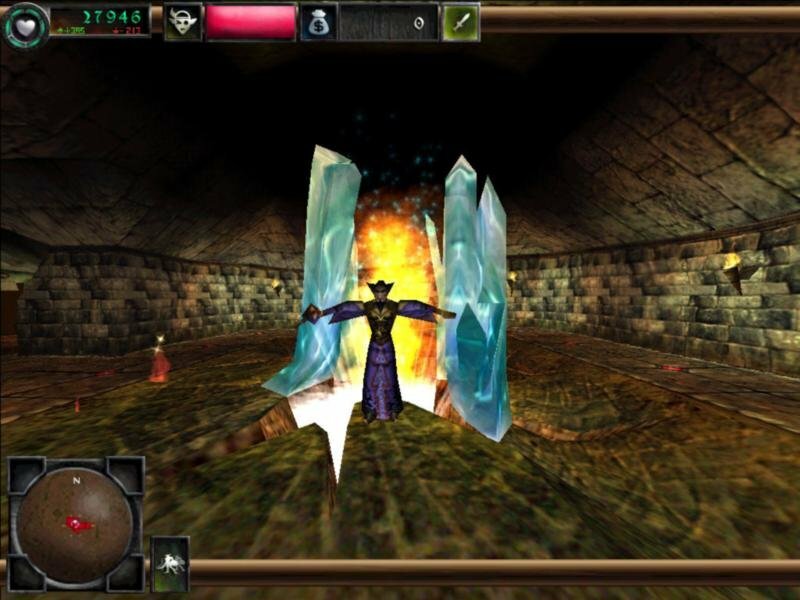 Your minions enter your dungeon through portals, and are attracted by certain types of rooms. The Dark Mistress won’t enter your dungeon until you’ve built a torture chamber, nor will a Thief come until you’ve built a casino, for example. Of course, rooms serve purposes other than to attract certain creature types. 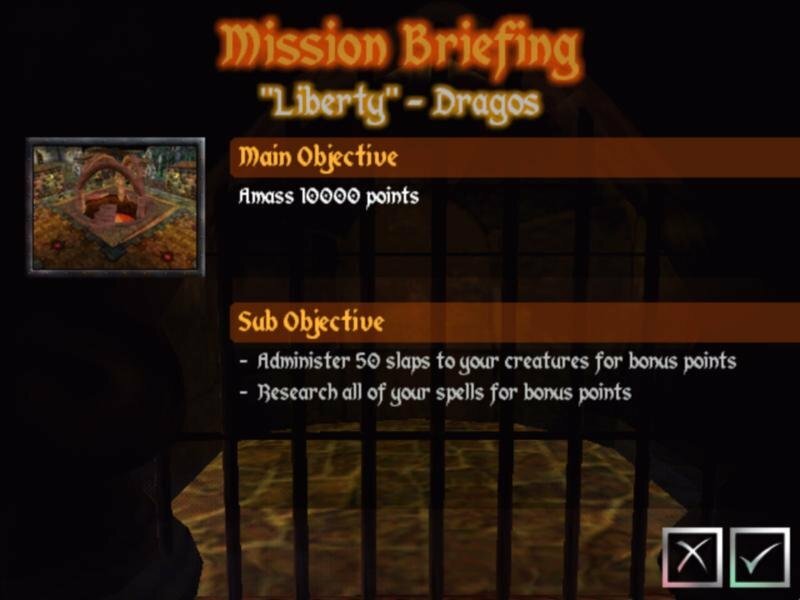 Training rooms allow your creatures to gain limited experience without getting in fights, prisons hold captured enemies, and libraries enable spell research. 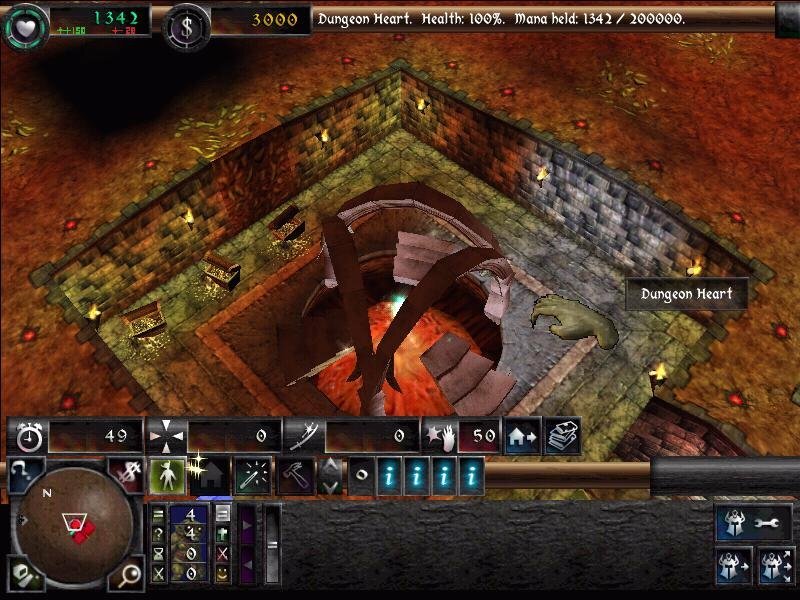 Though the interface in the original Dungeon Keeper wasn’t bad, it’s been improved for the second installment. It’s now faster and easier to see how many creatures of different types you have, and how many are happy, resting, angry, fighting, or working. 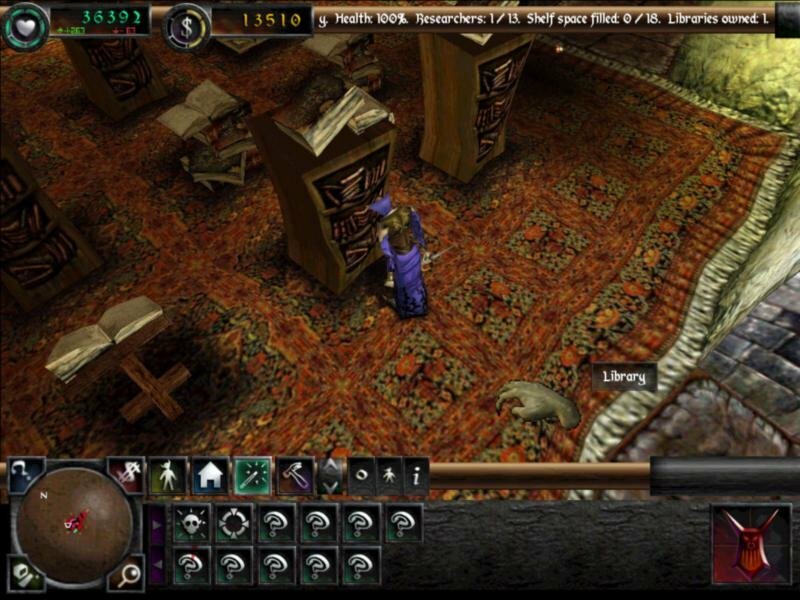 It’s also a bit easier to see what spells are being researched or traps are being built. 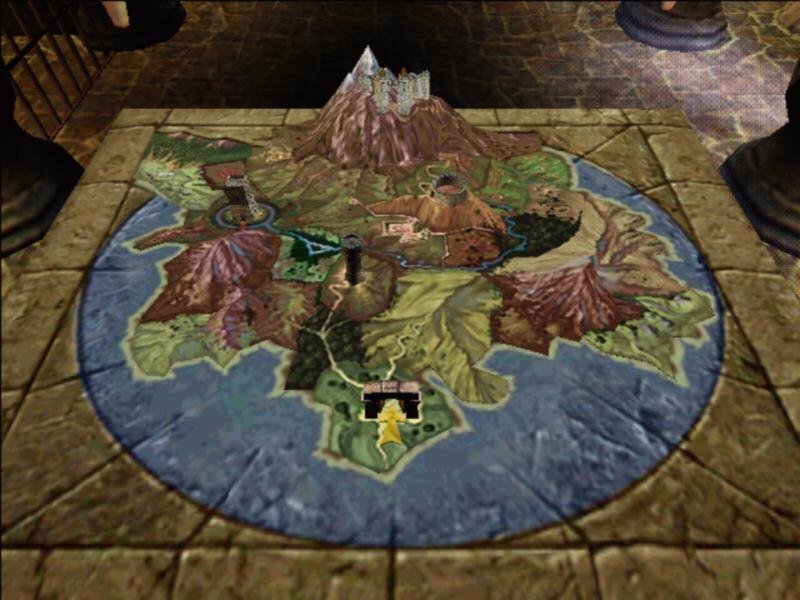 All the creatures in the game have a simple circle above their head, giving you all the information you need about their state. 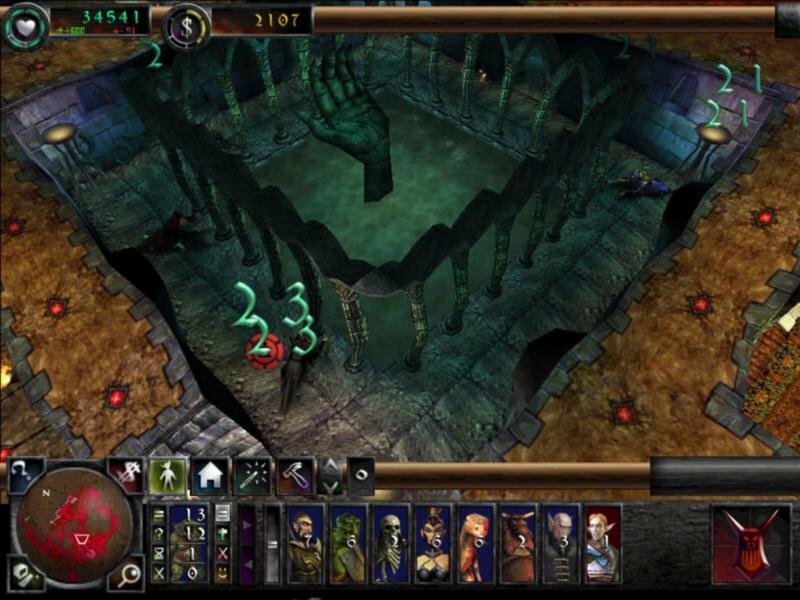 Each creature’s level is indicated by the number in the circle, which is interrupted by periodic flashes of an icon depicting their current action. 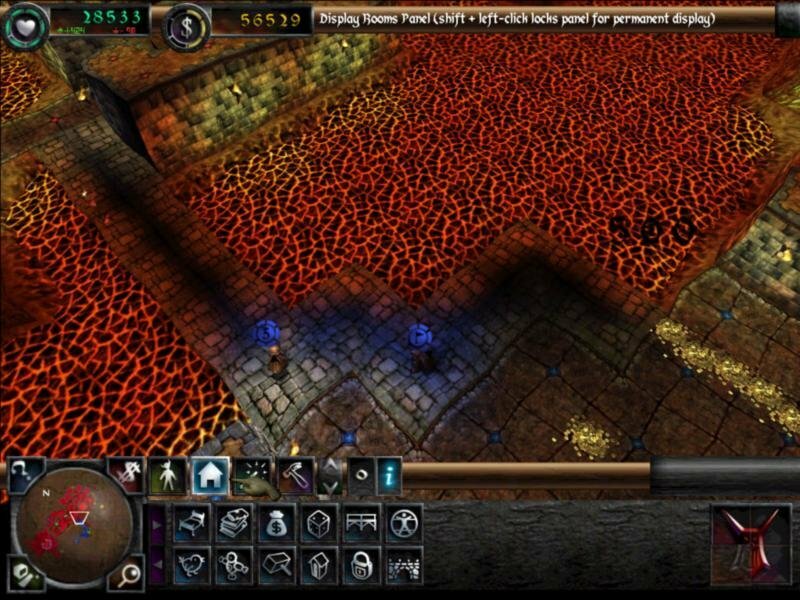 A ring of five bars that depict a creature’s health surrounds this level/job indicator. The end result is an uncluttered interface that keeps all pertinent information readily available. 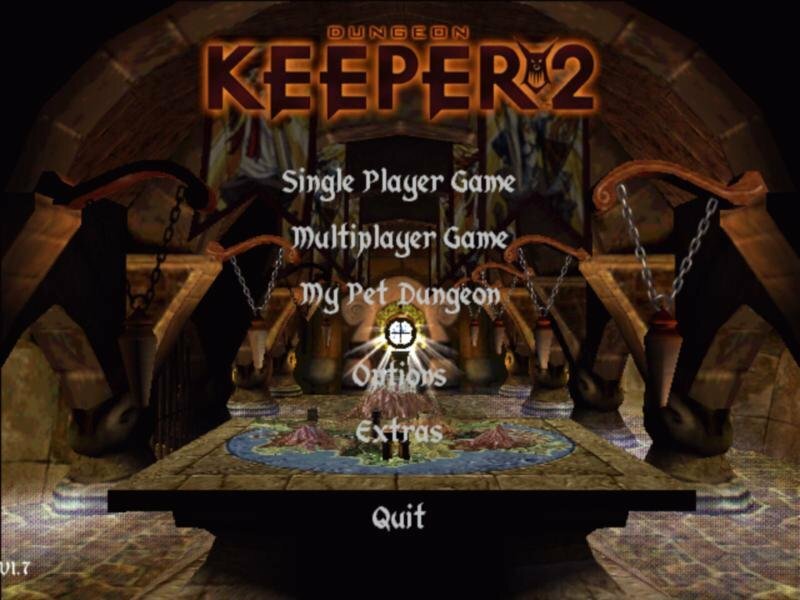 A lot of small improvements to the gameplay of the original Dungeon Keeper help make Dungeon Keeper 2 quite a bit more enjoyable. 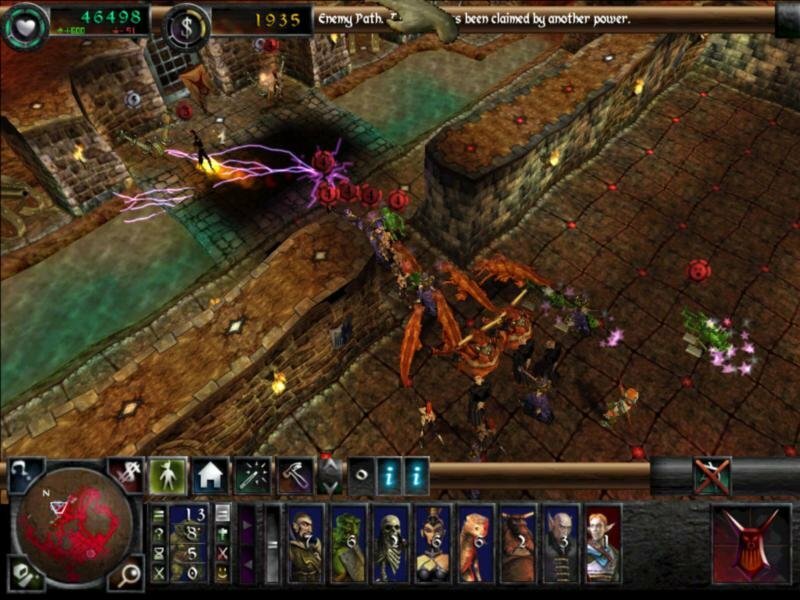 The ability to pick up a pile of creatures and drop them virtually anywhere without penalty ruined much of the strategy in the original game, especially in multiplayer play. Now, your reach is a bit more limited. 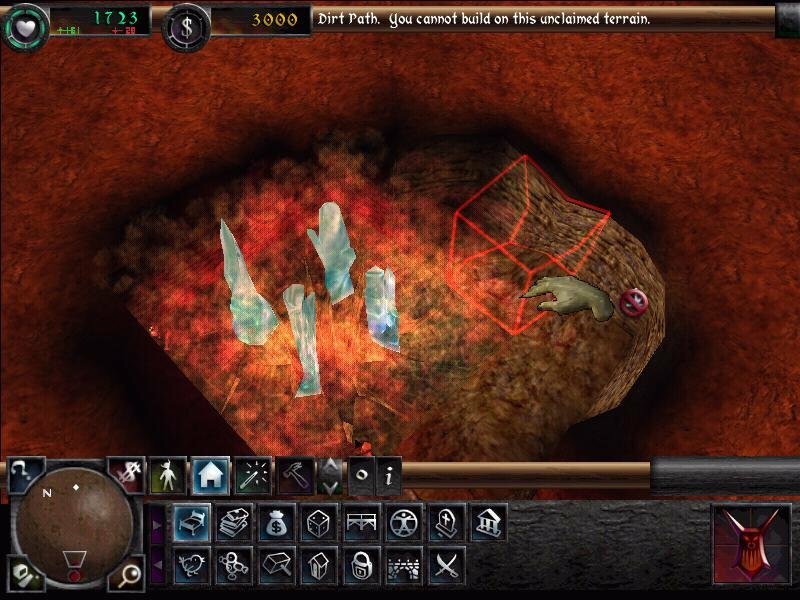 You can only drop creatures down on dungeon tiles your imps have claimed as your own, and when you do so, they are stunned and vulnerable for a short while. You’re also limited to casting spells on enemy creatures only when they’re on your tiles. 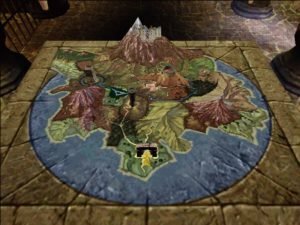 These two limitations, combined with a limit on the number of creatures that come from portals, help deliver some of the tactical flavor missing from the first game. It’s still quite common to just plunk a big group of creatures into combat, but building an appropriate defense with doors, traps, and guard posts is more important now. Also increased is the importance of possessing your creatures. When possessed, creatures get a bonus to their attack and defense, but more importantly, can “group” with others. These grouped creatures will follow your possessed creature, attacking threats as they feel is appropriate. This becomes a very important tactical advantage. 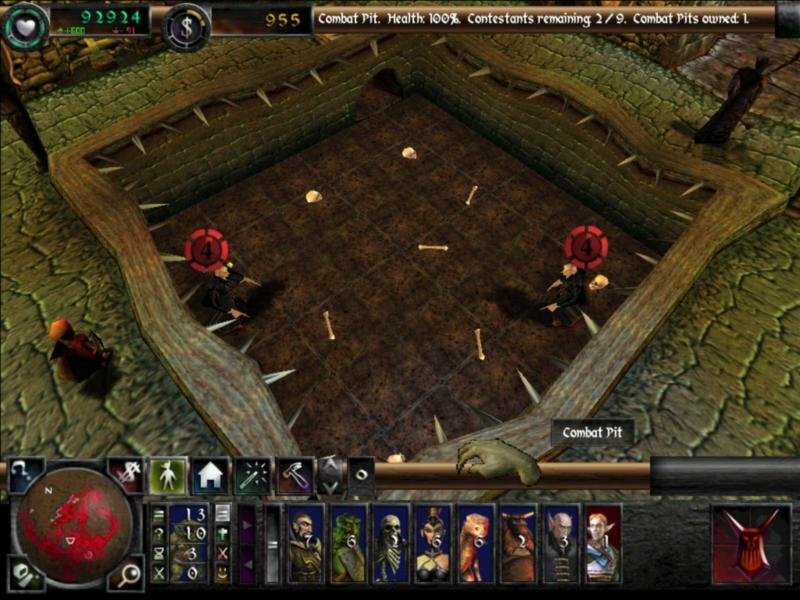 Without leading groups of creatures into enemy territory, killing enemy imps as they scurry about and scouting out enemy territory, battles tend to be fought over just a few dungeon tiles. When two armies meet, clashes are resolved quickly and in small spaces. 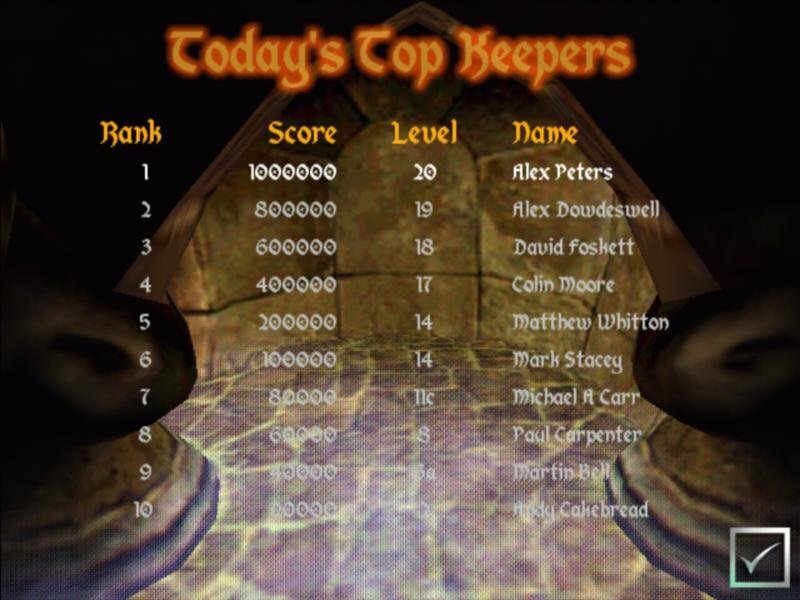 Speaking of attacking your opponent, Dungeon Keeper 2 is decidedly more offensively oriented than the original game. 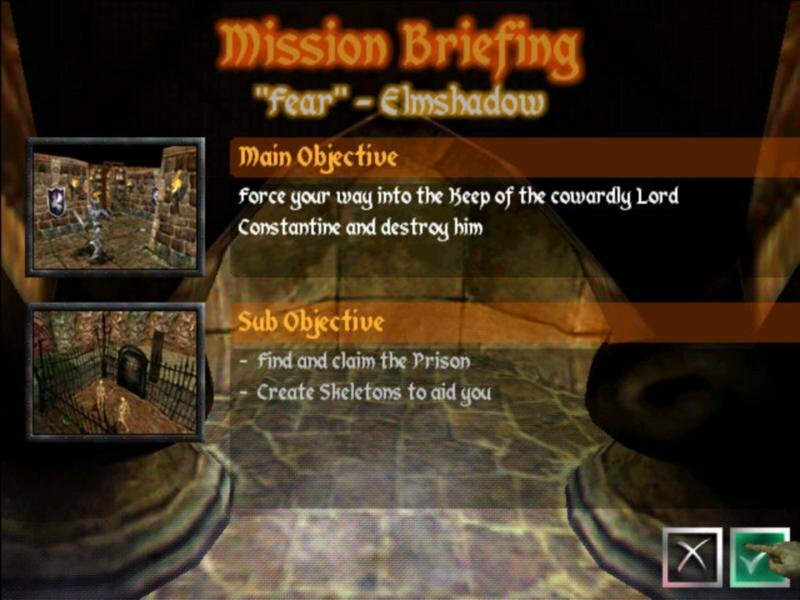 Most of the single-player missions the first time around revolved around the idea of protecting your dungeon against “good guy” intruders. 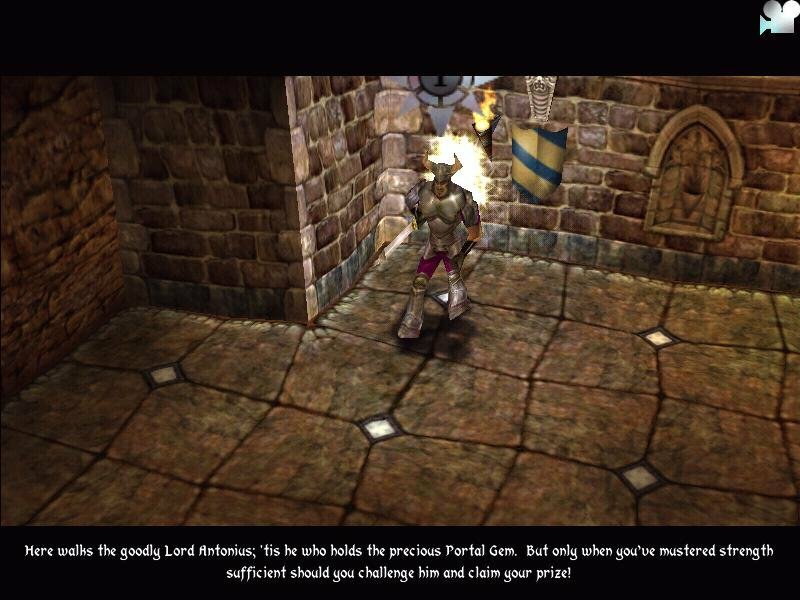 This time, the single-player missions almost universally involve building up a force with which to attack and defeat a hero or enemy Keeper who is holding a Portal Gem, and take it from him. There are some 20 single-player missions in campaign mode, including several hidden “bonus game” levels. 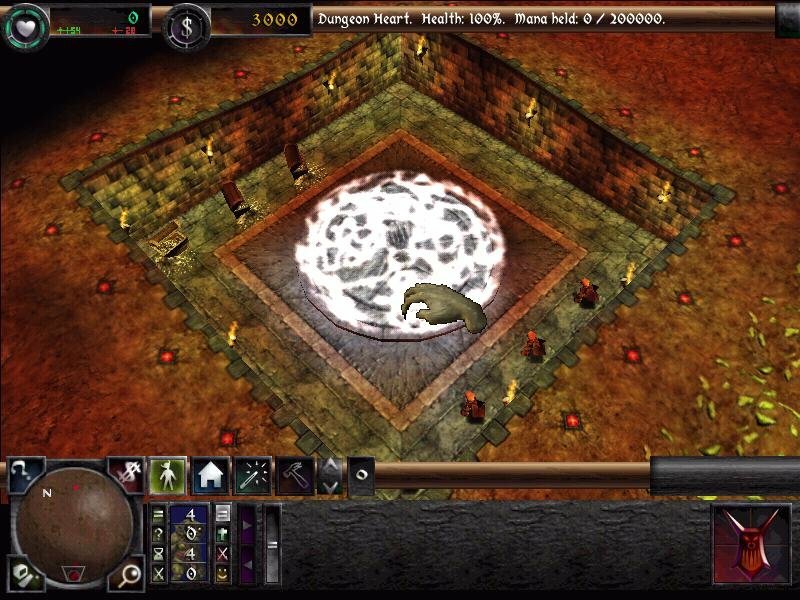 There is also a “My Pet Dungeon” mode, which is a single-player game with simpler, more SimCity-like goals that let your work on building the perfect dungeon more than defeating an enemy. 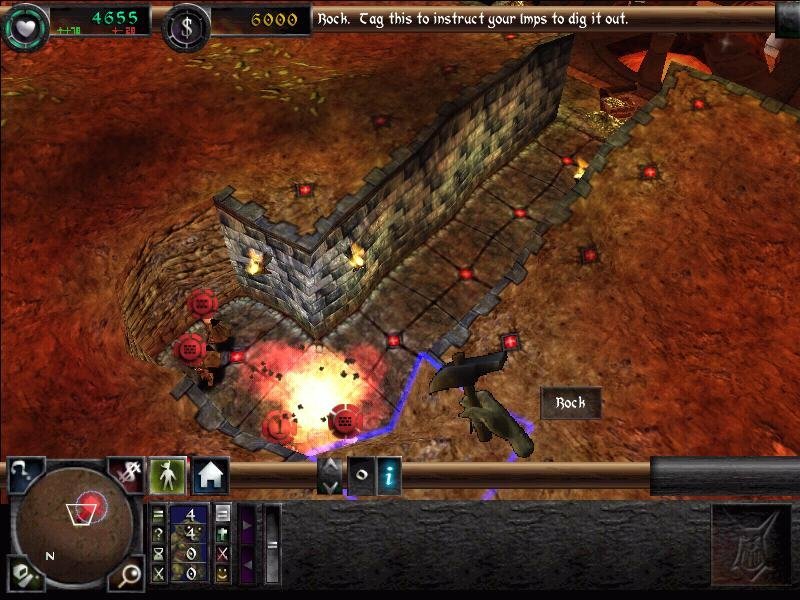 You can even keep playing and building your dungeon after meeting the level objectives. One thing that hasn’t changed much from the first in the series is the unmistakable tongue-in-cheek sense of humor with which evil is portrayed. This is an almost silly, humorous, cartoon “evil” you portray. The level of wit gives the game it’s own personality, which, combined with great controls and good fun, help make this game a classic.